It was record cold and snow fell. Snow was rising in the morning. I thought that it would be a completely white world with piled up, but snow is getting less on the road. I wonder if the sidewalk is snowing away. There are many places where you can see asphalt and pass safely. On the other hand, there is a Nakano Sun Mall Arcade at the North Exit of Nakano Station so we do not need any measures. You can pass safely. And, there was a sight that it hardly to see when looking at the top. 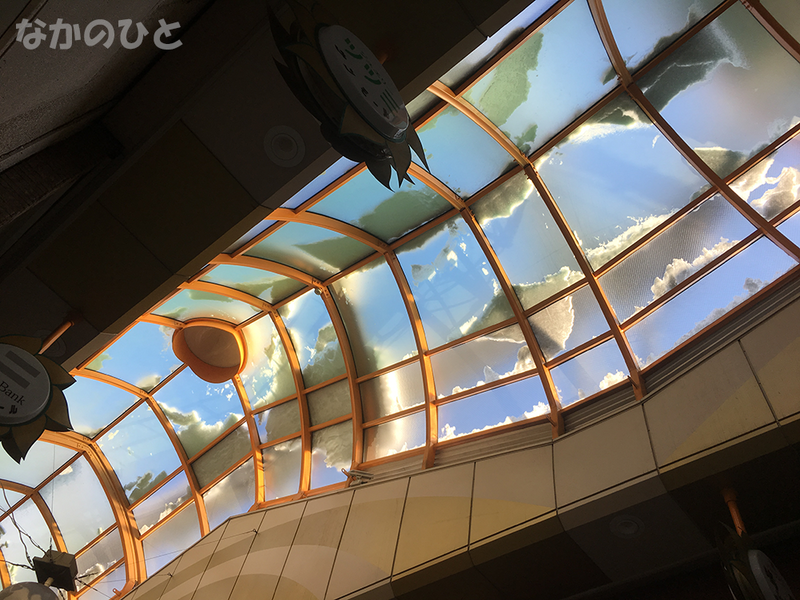 Transparent roof of the Nakano Sun Mall arcade that passes light of the sun. On top of that, snow was piled up everywhere. I am mottled. I thought that a lot of heavy and easy to accumulate snow fell, but there is a "Sun" mall. It seems that snow is melting already already warm. This page contains a single entry by shannon published on January 23, 2018 11:04 PM. The heavy snow, Nakano of January 22 was the previous entry in this blog. Wednesday, February 21, 2018, Nakano Broadway closed. is the next entry in this blog.